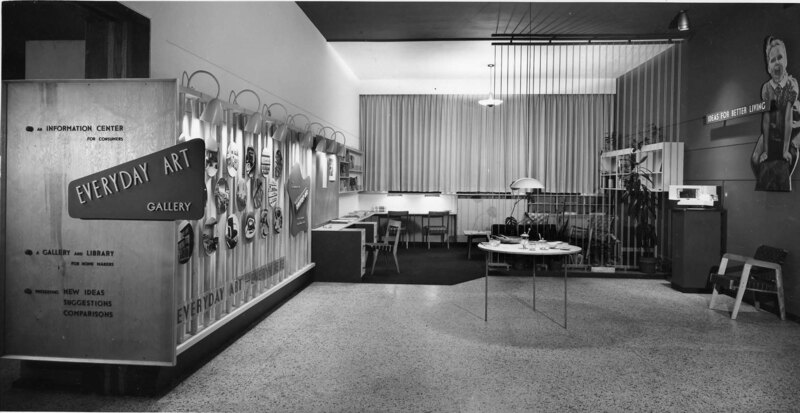 Hilde Reiss, who had studied modern design at the Bauhaus in Germany before immigrating to the United States and working for designers such as Norman Bel Geddes, was the first design curator at the Walker Art Center. 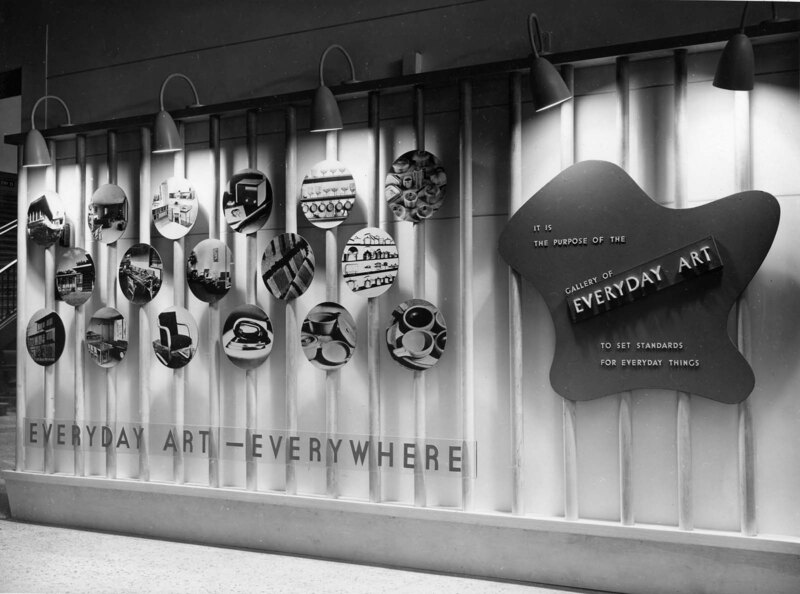 In 1946, she debuted the Everyday Art Gallery, one of the first museum spaces dedicated to modern design in the United States. 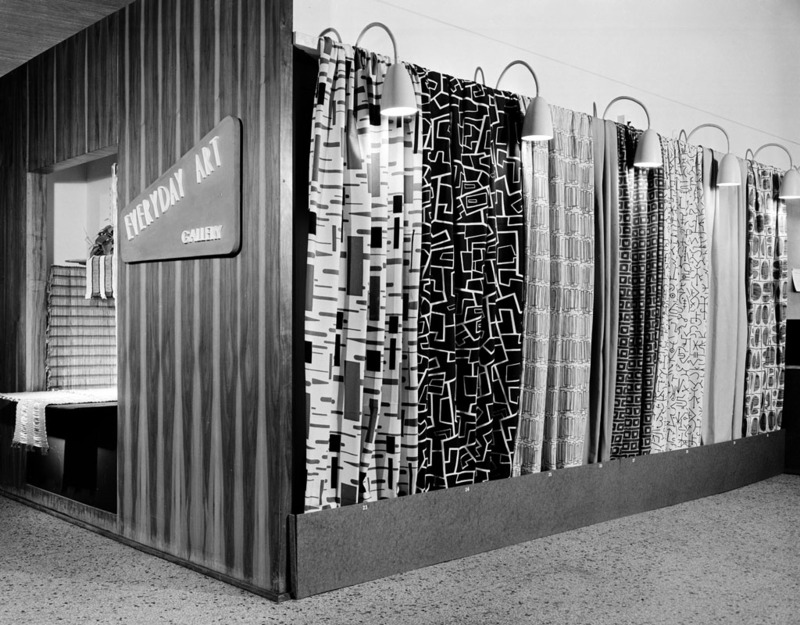 Part educational resource room, complete with instructional and material displays, and part retail showroom featuring the latest wares from around the world, the Everyday Art Gallery promoted the virtues of modern design to the public. 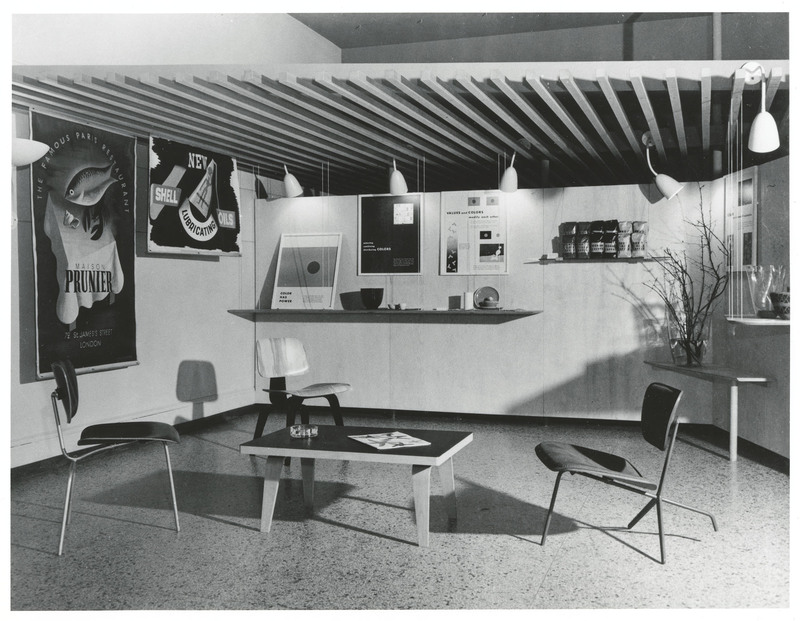 Following the lead of the Museum of Modern Art in New York, the Gallery launched its annual Useful Gifts shows during the winter holiday season, with Reiss personally selecting many of the featured objects from local department stores and businesses.